I have a great blog post to share with you today. We have kindly been given an Easter-themed worksheet to share with you all and my two little ones loved it! 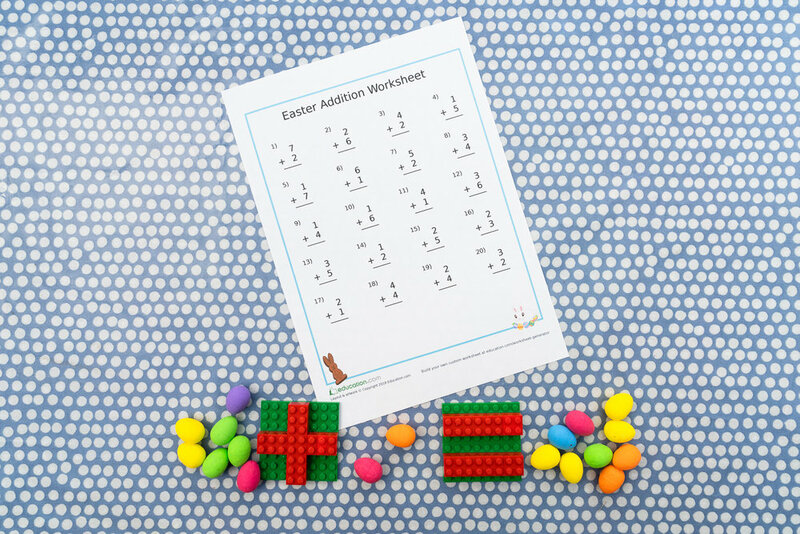 So, get your pencil and your get ready for some Easter addition fun! 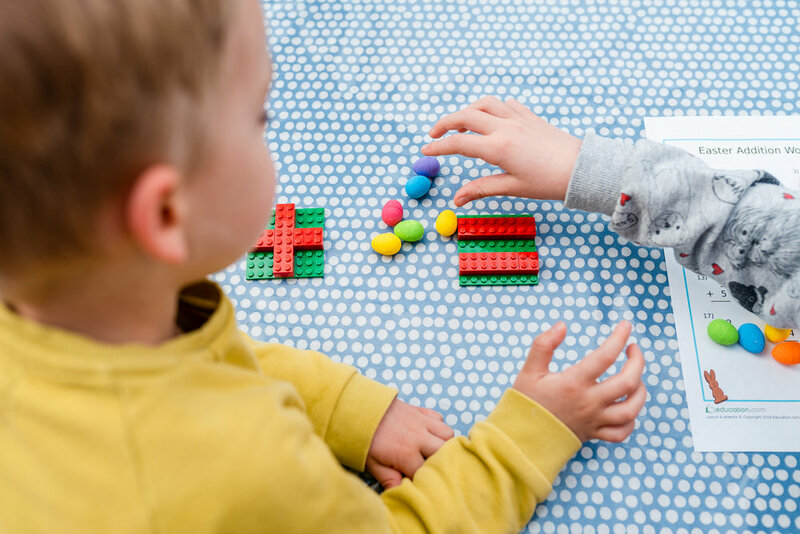 Check out Education.com for more math resources! 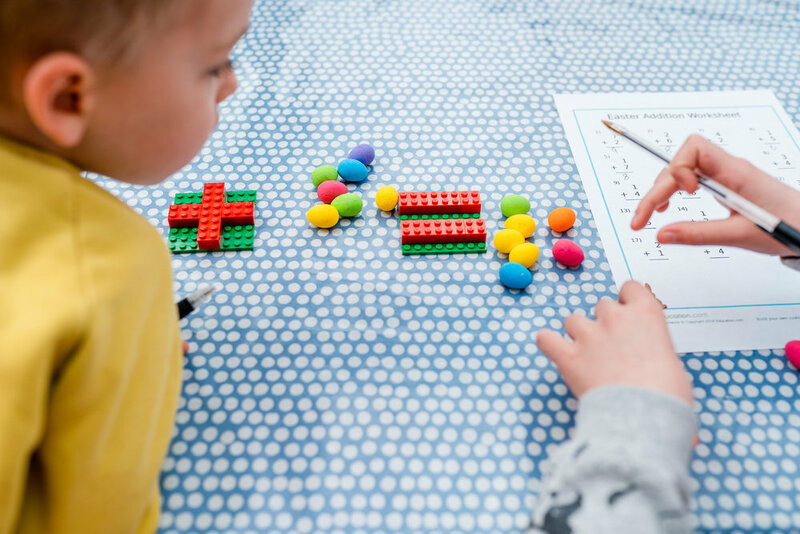 We don't regularly approach maths with a sit-down worksheet kind of a vibe but with the simple addition (excuse the pun) of a few loose parts it enticed them and they ended up engaging and having so much fun with it. This worksheet is aimed at Ks1 but in our home, we believe that if you're enjoying something then it's worth doing. Both of my two loved filling out this worksheet and then went on to set out their own sums so they could continue to use their eggs to practice addition. For a fun twist on this, you could use edible chocolate eggs. Once they had finished with the addition worksheet, they then could go on to practice their subtraction. Yes, you guessed it, they could nibble their way to being subtraction experts! For this set up we used small craft eggs and some Lego bricks to support the 'addition' and 'equals' understanding. You could simply draw the symbols on paper. 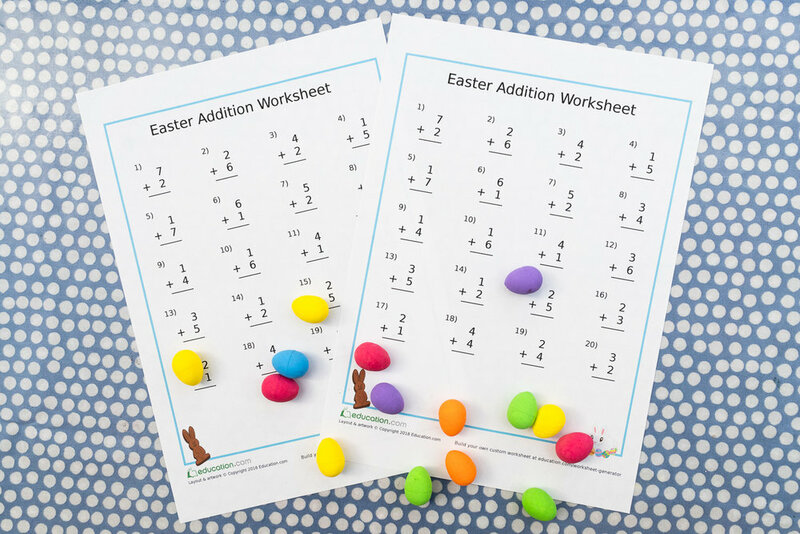 I hope you and your little ones have fun with this Easter-themed worksheet. It's eggcellent! (Sorry.) Check out our snowy word scramble for more themed fun!